RRP $446.00 $421.00/unit for 4 pcs. 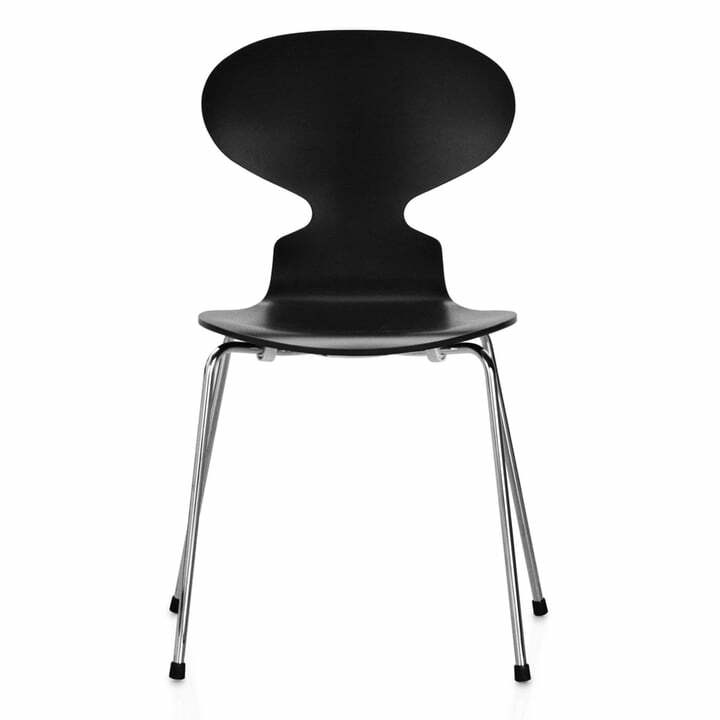 Beautiful and elegant - this is how the chair The Ant by Arne Jacobsen for Fritz Hansen appeared in 1952. The production process was revolutionary and the shape unusual at the time. Because of this, the Ant was not popular immediately. The fate of many products that are ahead of their time. In the meantime, time has caught up with the Ant and the chair has become another classic by Fritz Hansen. Despite its minimalistic form and graceful shape, the Arne Jacobsen chair, The Ant, is an extraordinarily comfortable chair. The lamination process in combination with the typical characteristics of the wood ensure sufficient elasticity to adapt to the contours and movements of the body. The Ant Chair is in also available in further editions.